Scroll down to see pictures. 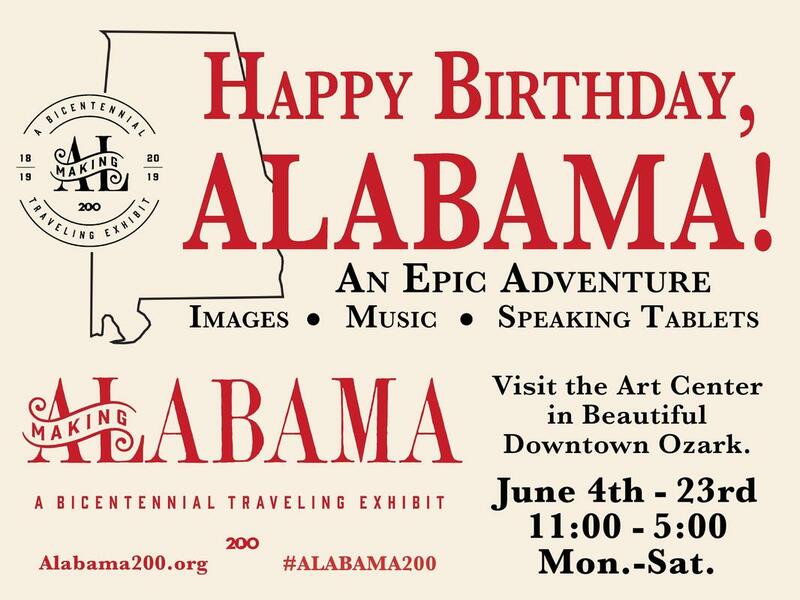 Happy Birthday Alabama ~ Bicentennial Celebration! We all belong to a larger-than-life story, over two hundred years in the making. You will need a Facebook account to view the videos. 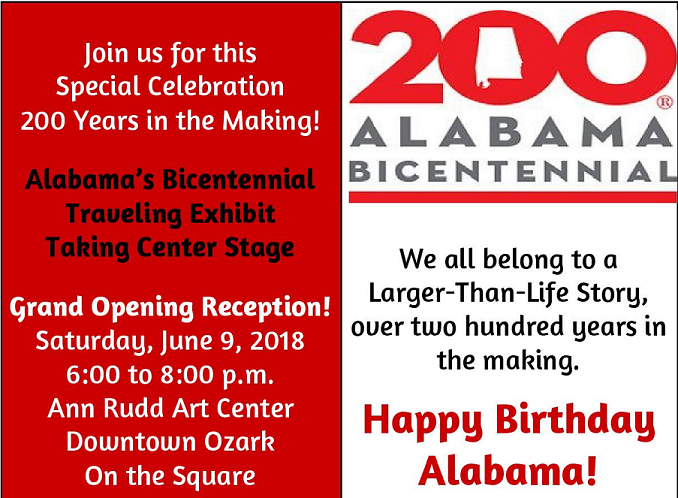 As the exhibit continues, so do the pictures! 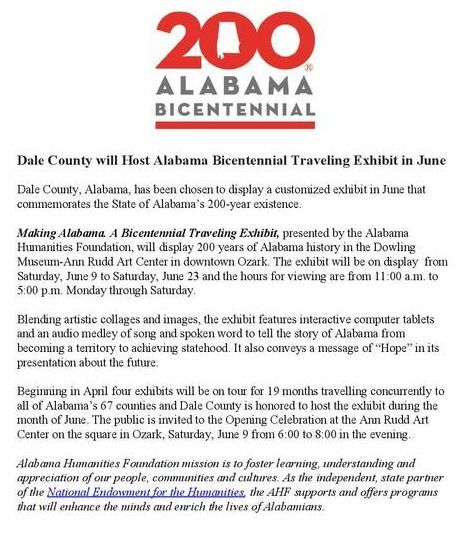 Submit your photos of the exhibit HERE. Grand Opening & Ribbon Cutting ~ 6.9.2018; 6:00 p.m.
Pictures from the Sneak Peek ~ 6.4.2018; 11:00 a.m.
the set up begins! 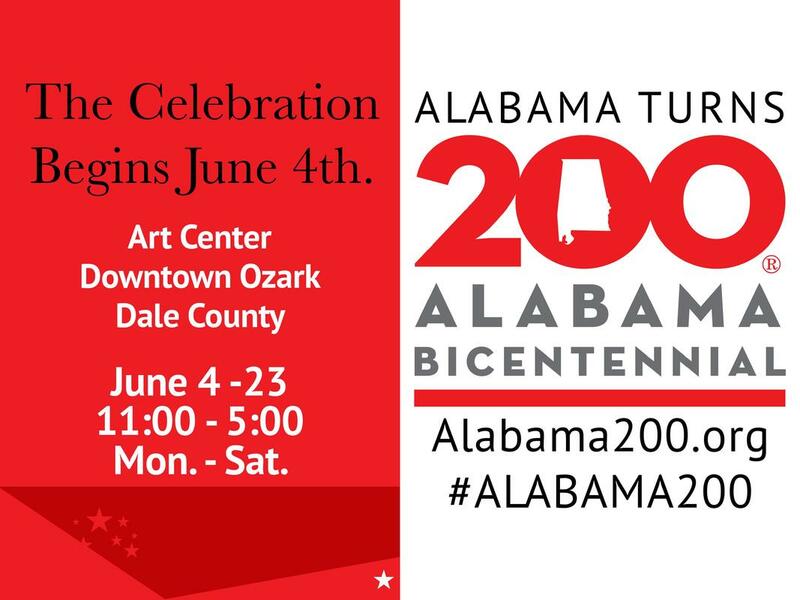 Friday, 6.1.2018 8:00 a.m.
Watch for our signs all around dale county!